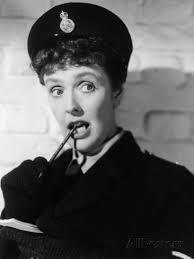 Joyce Grenfell was born in 1910 and was therefore 44 years old on her first St Trinians outing. In ‘Belles’ she played the local police sergeant, Ruby Gates, who was sent to work at the school undercover. Her “teacher” name, given to her under protest, was Chloe Crawley (“But they’ll call me Creepy Crawley!”). Parallel to the main story, we learn about Ruby and her long term engagement to the less than enthusiastic Superintendent Kemp-Bird. Frankly, he uses her romantic adoration of him to get her to do his dirty work. Ruby Gates returned in two sequels – ‘Blue Murder’ then ‘Pure Hell’. In the first, she goes undercover again, this time on a school European bus tour where she and Terry-Thomas string each other along. In ‘Pure Hell’, she has to stow away on a lifeboat as some of the schoolgirls go on ‘a tour of the Greek Islands’. 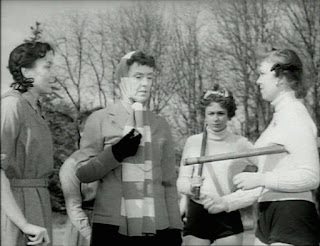 In this final outing she does get Kemp-Bird as far as the church…until news of further shenanigins at St Trinians reaches him just in the nick of time. Poor Ruby. The character of Ruby Gates is endearing and also amusing. 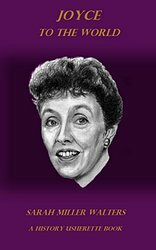 Old fashioned with a plummy turn of phrase, you root for the poor old girl even though she is not on the side of our St Trinians heroines. I think that this is a particularly clever trick, to be able to draw out our sympathy in this way. This is down to Joyce’s loveable talents. She patently liked people and was acutely observant, being able to poke fun at different types without being unkind. I suspect that Ruby is an amalgam of many women that Joyce had come across, particularly in her war work and through her attendance at Womens’ Institute meetings. Joyce was born in London to an American mother and British/American father. Her mother was the sister of Nancy Astor and so Joyce was well connected yet not snobbish. In the early days of her marriage she was not rich and often depended on the kindness of her Aunt Nancy…who would then take advantage of this control to try and smother Joyce’s early forays onto the stage. But those monologues that she began with were soon in demand in revues and on the radio. Her career was cemented during World War Two as she tirelessly toured for ENSA, singing and reciting to troops in the Middle East and beyond. 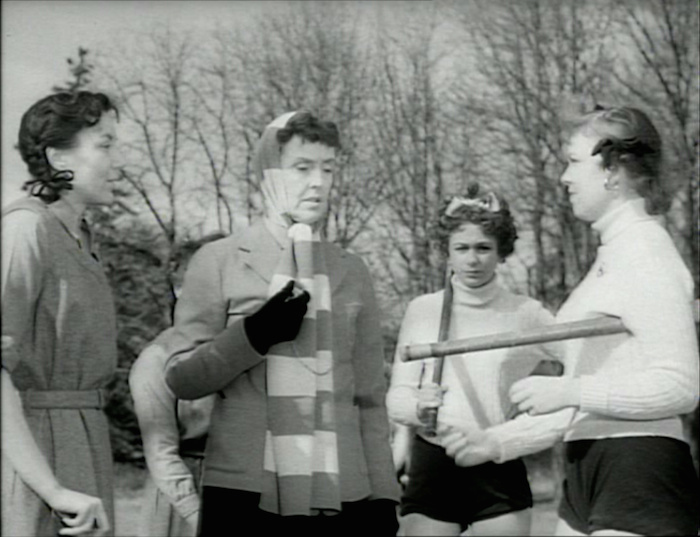 There were a few brief early film parts before St Trinians, most notably in ‘The Happiest Days of Your Life’ which took Joyce directly to the part of Ruby Gates.